You Are Your Story – So Work on It! Stories are 100 percent about emotion – and emotion, far more than dynamite, moves mountains. -> Your schedule today is…a short story with a beginning, narrative, end, and memory that lives on. -> Your current project is…an unfolding story about making something better, exciting users, etc. -> Your organization’s reason for existence and therefore its effectiveness, is…a story. -> Your career is…a story. Master the art of storymaking-storytelling-story doing-story presenting. How are you writing – and telling – your story today? 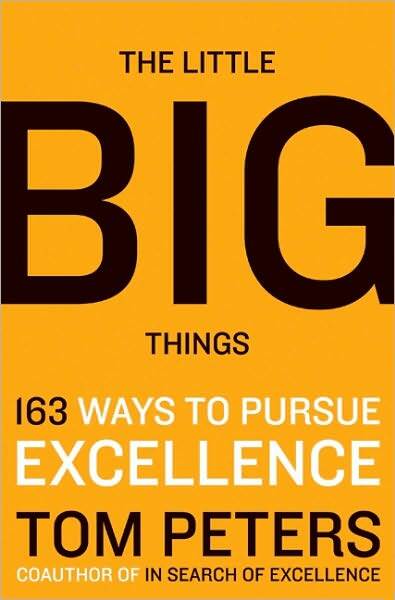 This entry was posted in BookNotes, Story and tagged Story, The Little BIG Things, Tom Peters. Bookmark the permalink.